The Village Inn, located at 1995 W. Lumsden Rd. in Brandon, is celebrating 10 years in business at this location in October. The business started back in 1958, and has been serving the Brandon community for 30 of those years. Village Inn is best known for its gourmet burgers, all-day breakfast offerings, and ‘The Best Pies in America,” which have won many awards at various competitions across the United States, all at reasonable prices. “We are appreciative of each generation making it their tradition to eat at our restaurant, we will continue to nurture and support that sacred tradition for many more years to come,” said General Manager Mark Rolph. He talked about how many people he has seen grow up and make memories in his restaurant. Whether it is the cast of the high school play celebrating the last night of performances, or a group gathering every Wednesday morning for prayer, this Village Inn has managed to serve families and friends in this community for a whole decade. This October, Village Inn will be throwing a party that will last all month long. 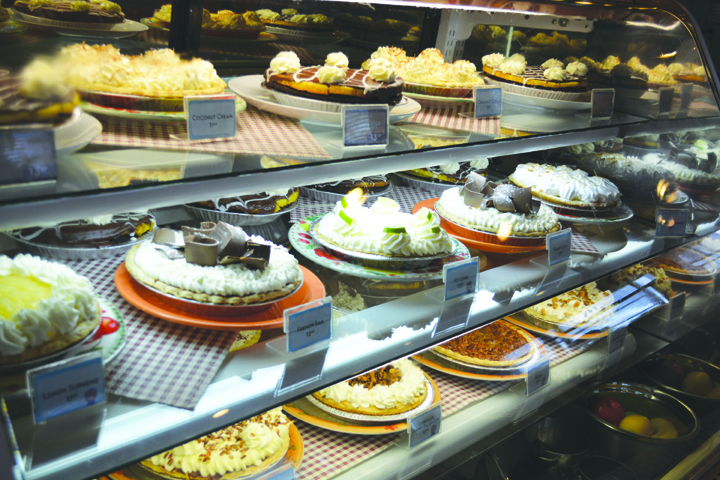 Pumpkin pies will also make their debut this October, and while the food is unsurpassed, in the end it is all about the families and friends who share a meal there. “We would like to thank each and every one of our loyal guests for letting us be a part of the community for the last 10 years. We look forward to serving you in the future with exceptional service and great tasting food,” Rolph said. Village Inn is open Monday through Sunday from 5:30 a.m.-12 Midnight and on Fridays and Saturdays it is open until 3 a.m. For more information, call 657-7382 or visit www.villageinn.com.